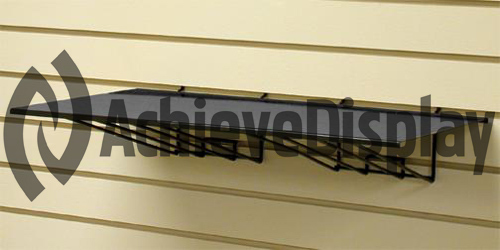 Flat gridwall shelf has wire supports that dramatically increase its load capability. Shelf is supported by rear facing hooks and can be mounted anywhere on your gridwall panel for a unique display. Durable construction can easily support the weight of the items displayed.